FIGHTING A NURSING HOME? LET US STAND WITH YOU. The number of individuals in nursing homes is projected to greatly increase as people live longer. Currently, there are approximately 1.5 million people currently in nursing homes and this number is projected to triple in the next twenty-five years. Moreover, advances in medicine continue to extend life expectancy meaning that nursing home residents stay longer in the facility. Unfortunately, millions of people are injured in nursing homes every year. And thousands die from those injuries. 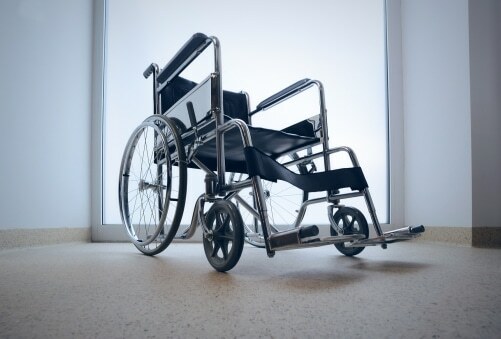 We focus on nursing home negligence and abuse at the Steele Law. Thus, our clients get the unique advantage of having a dedicated nursing home abuse and neglect attorney on their side. The Steele Law Firm is experienced in handling nursing home abuse and negligence cases in all parts of the Midwest including Illinois, Missouri, and Kansas. Nursing home abuse and negligence claims involve many complex legal and medical issues. Having the right attorney is essential to recovering what you deserve. Our Midwest nursing home abuse law firm will do everything possible to assist you in obtaining the maximum compensation you deserve. More importantly, our firm will serve as an ally that will give you and your family the respect and compassion it needs. Contact us for a free case evaluation. Copyright 2015 The Steele Law Firm | All Rights Reserved | Site by Netmud.